A semi-official guide to the best new features. Opus 9 is available now! ...So is Opus 10, now. This guide is old but I'll leave it here for anyone still using Opus 8. Windows 2000, XP, Vista and Win7; 32-bit and 64-bit. You can download a fully-functional 60-day trial version. The online introduction, "Getting To Know Directory Opus", is a good place to start if you're new. It introduces the key features and examples of using Opus. 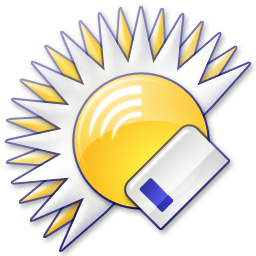 The Resource Centre provides a free help forum, tutorials, plugins, toolbars and graphical themes. Opus 9 is free if you bought Opus 8 after 1st December 2006. Added link to H&P's German Translation. Added link to Release Notes/Manual. This article highlights the most exciting new features in Directory Opus 9. There are literally hundreds of additional changes which have been overlooked to focus on the most interesting ones. Please refer to the separate Directory Opus 9 Release Notes for the complete list of changes and for more detailed descriptions of everything discussed below. If you are not already familiar with Directory Opus then you may want to read my introduction, Getting To Know Directory Opus, before reading about the very latest features here. There are plenty of new goodies for everyone but if you use Windows Vista then you might want to jump straight to Page 4 and then come back for the rest. Most of the screenshots in this article were taken on Windows Vista running a customized Opus configuration. If you have any questions, or need help recreating something that you've seen in a screenshot, visit the Directory Opus Resource Centre forums. 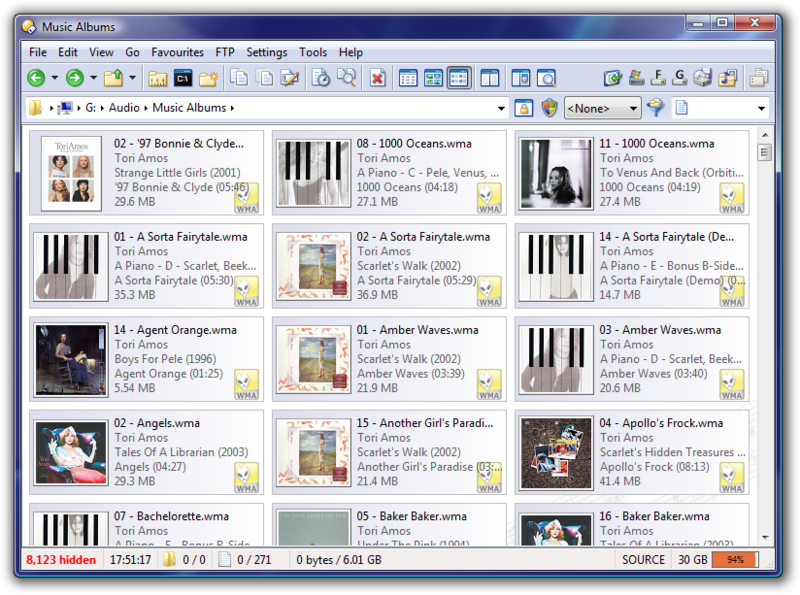 Directory Opus 9 on Windows Vista in Tiles Mode showing a flattened and filtered view of a directory hierarchy, sorted by song title. 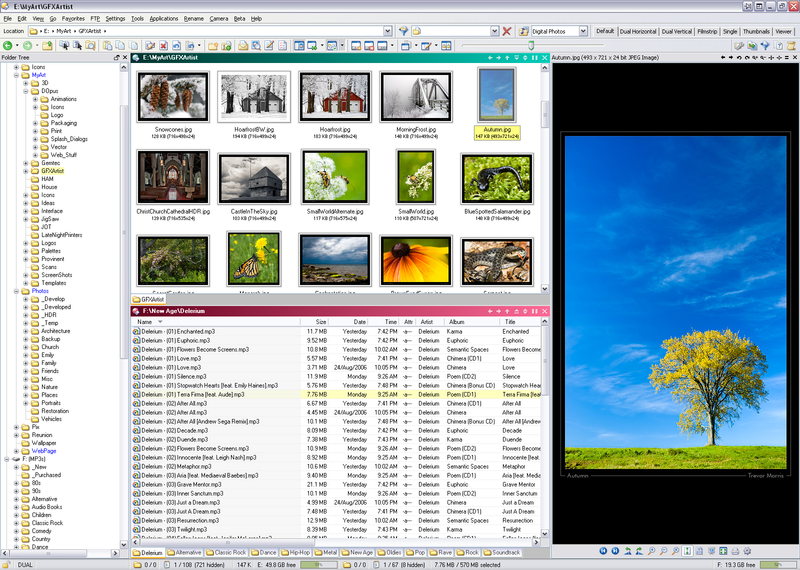 Click to Enlarge: Directory Opus 9 on Windows XP synchronizing some artwork to a backup folder. Click to Enlarge: Directory Opus 9 on XP managing some photos and MP3s. Directory Opus 9 on Vista doing a variety of things at once. 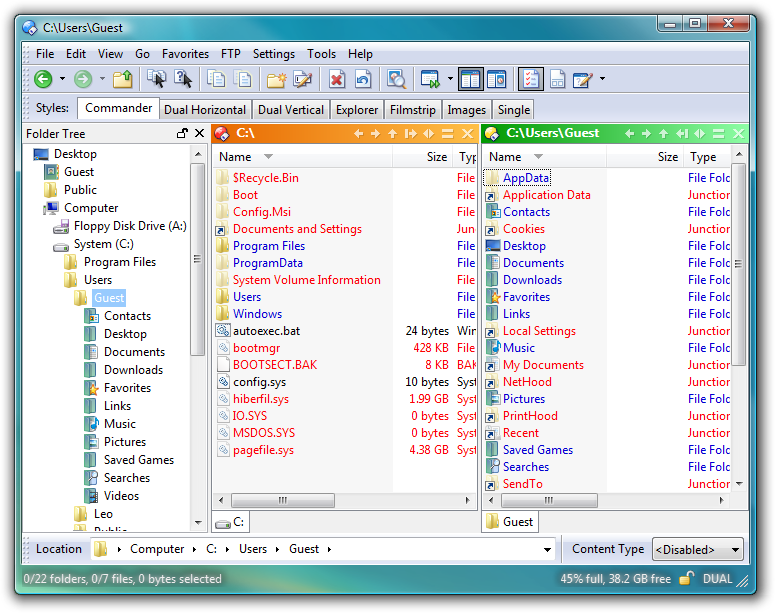 Directory Opus 9 on Vista with the default configuration.